Adding yet another feather in its cap, Concept PR has bagged the prestigious Fulcrum Award 2017 as its executive director B N Kumar has been felicitated as PR consultant of the year for the agency’s social communication campaign. Presenting this award Fulcrum organizers said, “With over four decades of experience as a media professional, BN Kumar, Executive Director Concept PR, has pioneered social communication as an effective tool to talk about issues of social concern from conserving water to self defense for women and from educating the girl child to environment protection”. Nandini Chatterjee – Executive Director and chief Communication officer PwC India – and Mukund Mudras – Founder Heckyl Technologies presented the award to Kumar. 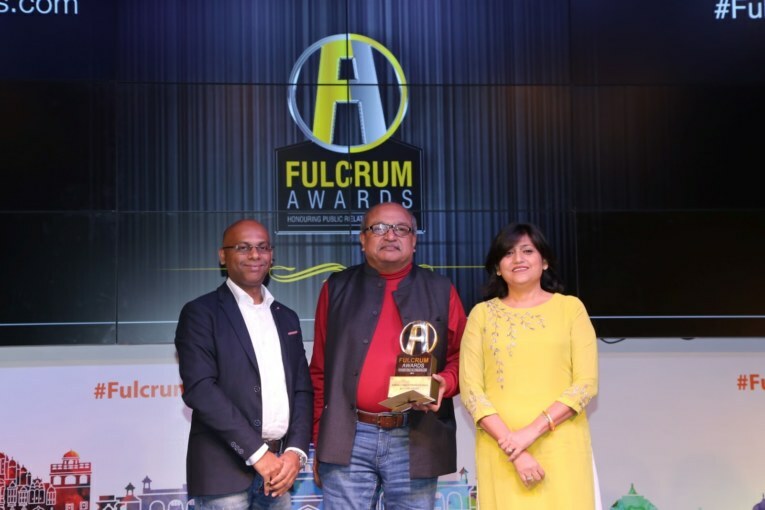 “Coming as it does in a series of awards the agency has been conferred with, Fulcrum Award is a recognition of our teamwork and commitment to professionalism with novel ideas,” said Ashish Jalan, CEO and director of Concept PR. “We also thank Public Relations Council of India for giving us a platform to work on social communication,” he said. “I owe it to Team Concept PR and tremendous media support to our unique social communication drives,” said B N Kumar. “Our experiments with communication for a cause have yielded us good results and global recognition,” he added. The agency’s social communication campaign – Mission Mumbai Local – focusing on the woes of Mumbai suburban commuters has won a Gold under ‘PR Milestone of the Year’ category as part of the SVUS PR World Awards at San Francisco recently.